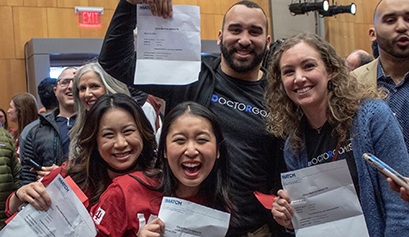 At precisely noon on Friday, March 15, the IUPUI Campus Center erupted with shrieks of joy and cries of relief as 331 Indiana University School of Medicine students tore open sealed red envelopes to reveal where they will complete the next phase of their medical training. 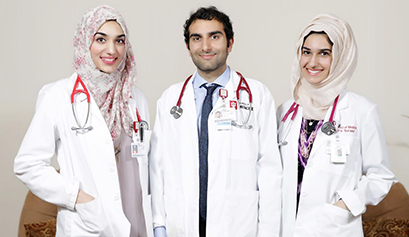 Throughout her time in medical school, Rana Torabis siblings have been her support system. 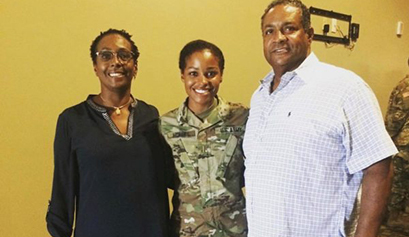 Gabrielle McNary always knew she wanted to pursue a career in medicine. 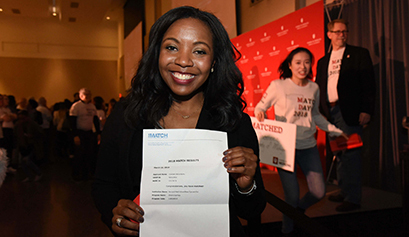 For fourth-year medical students at Indiana University School of Medicine, the specter of Match Day looms large on the horizon. 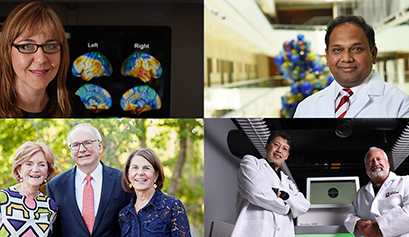 At Indiana University School of Medicine, 2018 was a big year. Days in the lab, nights in the studio. 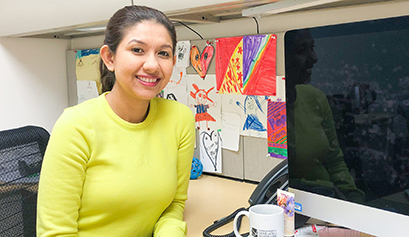 Thats the new normal for Naro Biswas, PhD. But in March, shell have a whole new routine--one shell perform on the dance floor. 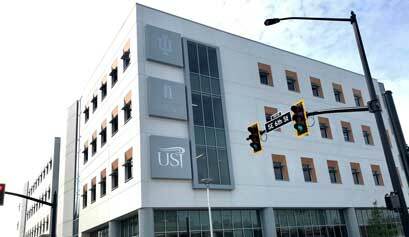 As I look to the future of Indiana University School of Medicine, I feel strongly that meaningful communication is essential for our success, just as effective communication with our patients is essential for their health. 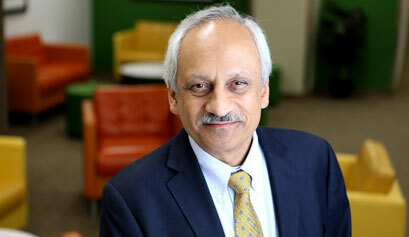 For his vast contributions to research, education and entrepreneurship, Anantha Shekhar, MD, PhD, executive associate dean for research affairs at Indiana University School of Medicine and founding director of the Indiana Clinical and Translational Sciences Institute, was named 2018 Watanabe Life Sciences Champion of the Year. 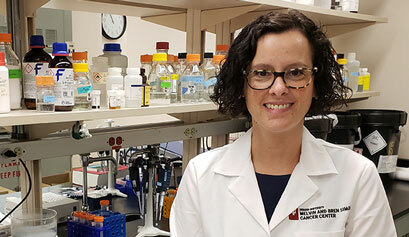 Indiana University School of Medicine scientists have received the university's largest single grant from the National Institutes of Health and will partner with a team of premier researchers around the country to lead a five-year national research study of a relatively rare form of Alzheimer's disease. 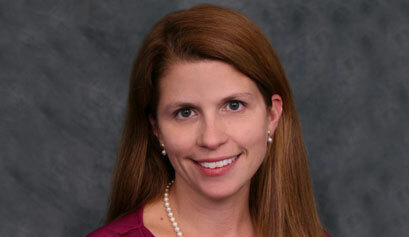 Rachel Katzenellenbogen, MD, a leading pediatrician and expert on human papillomavirus, recently joined the faculty at IU School of Medicine as an associate professor of pediatrics and the inaugural Chuck and Tina Pagano Scholar. 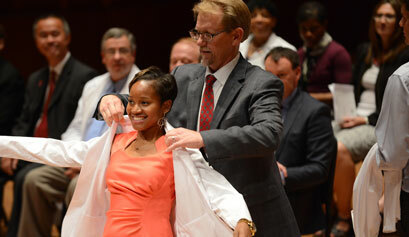 Indiana University School of Medicine has selected a Chicago-area native with more than two decades of experience in medical education and strong ties to northwest Indiana to be the next leader of its campus in Gary. 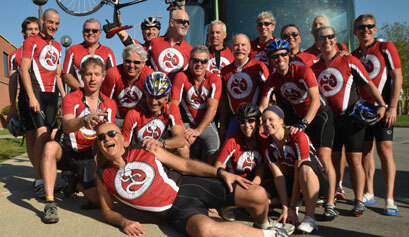 Most men in their 50s dont bike 200 miles during a weekend. Rafat Abonour, MD, is not most men. Hes on a mission. Jay Hess, MD, PhD, MHSA, is finishing his fifth year as dean of Indiana University School of Medicine. 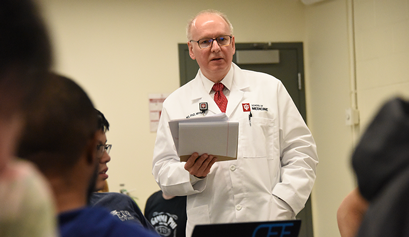 In a Q&A, he shares his thoughts about where the school is headed, student wellness and what he wishes people knew about IU School of Medicine. A computer is as ubiquitous in the doctors office today as a blood pressure cuff. Despite that, many of todays medical students are inadequately trained in the use of electronic health records (EHR)  posing major concerns in a profession that increasingly relies on technology and data to guide decisions and ensure patient safety. 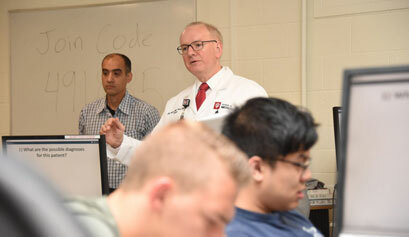 With the support of the American Medical Association, Indiana University School of Medicine and Regenstrief Institute have created a teaching tool and curriculum that will change how medical and health professions students across the country learn to use electronic health records. 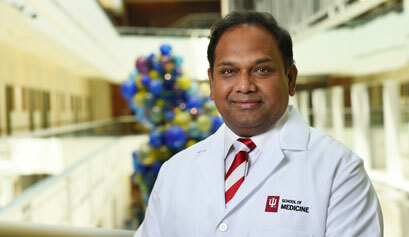 Indiana University School of Medicine is investing more than $20 million over the next five years to establish a new center focused on regenerative medicine, a rapidly developing field aimed at repairing and replacing tissue and organs damaged by age, disease or trauma. IU School of Medicine Associate Professor of Medicine Kathleen T. Unroe, MD, wants to change how nursing homes care for long-stay residents. 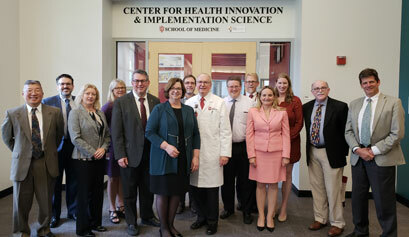 Indiana University, the University of Evansville and the University of Southern Indiana today dedicated a new shared hub for health sciences education in a ceremony that celebrated the campuss potential to transform health care in southwestern Indiana and to serve as a catalyst for economic development in downtown Evansville. 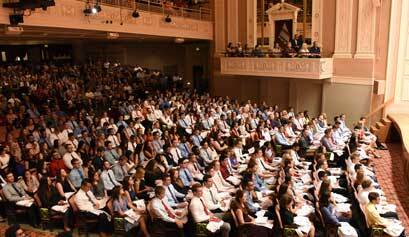 On Friday, August 3, 360 first-year Indiana University School of Medicine students received their first white coats, marking the beginning of their formal medical school training. 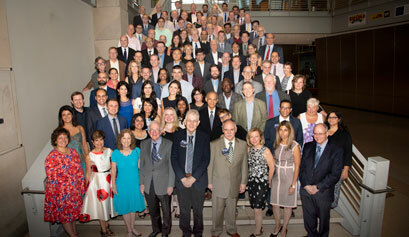 One hundred current and former fellows gathered at the Indiana State Museum July 20 to spend a commemorative evening with mentors and friends.